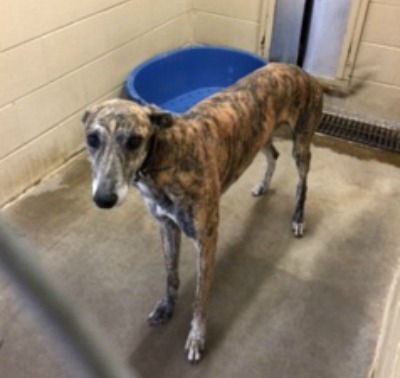 Boss is an approximately 4 year old brindle greyhound male surrendered to Waco Animal Control by the owner. He was heartworm positive when he arrived, but has been successfully treated. Boss is a sweet boy, and loves to be with people. We don't know how he'll do around cats yet. 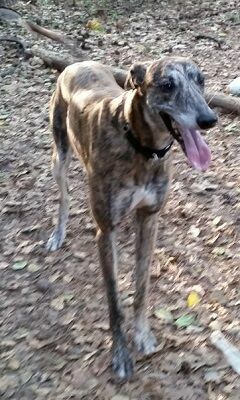 Boss is one happy, energetic dog – in a word, exuberant! He is always, always joyful and bouncy. He’s been under treatment for heart worms and is now feeling better and is super playful. One of my favorite things is to call him - no matter where he is in the yard, when he hears, 'Boss! or Bossman!' he flies to me - he's so enthusiastic that I have to duck or he will bowl me over! He does have kind of a sensitive tummy - if his food is changed, it must be done VERY gradually. Avoid rich treats, and keep him on the same food, and he's an easy keeper. Boss crates easily, and just needs a treat as a prompt and sleeps in his crate, quiet all night. He gets along fine with the other dogs int he home, though he doesn't really interact with them. Boss doesn’t appear to have much of a prey drive. Bossman is just a big boy who’s not really aware of his size. 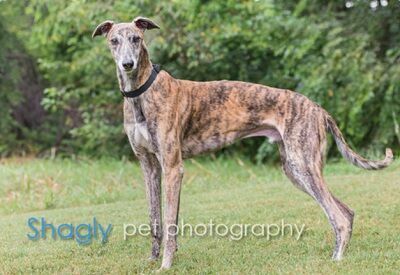 This sweet guy is looking for a family to call his own and play to his heart’s content. The special medical treatment cost needed by Boss is why the Miss Mesa Fund was established. If you would like to help with Boss's care, please take a moment to make a donation to the fund. 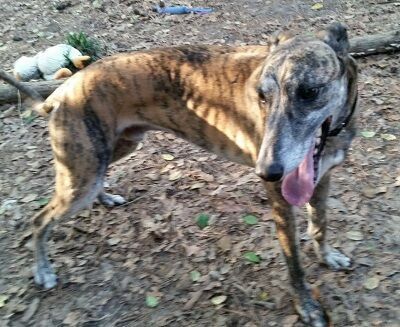 You WILL and CAN make a difference in Boss's life and the lives of other greyhounds in need of special medical care. 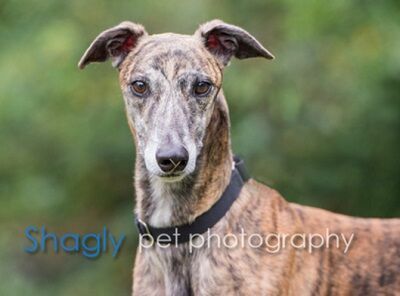 Your help and support will make a difference - one greyhound at a time. Please note Miss Mesa Fund/Boss on your check.